I've decided to post a bit different post. 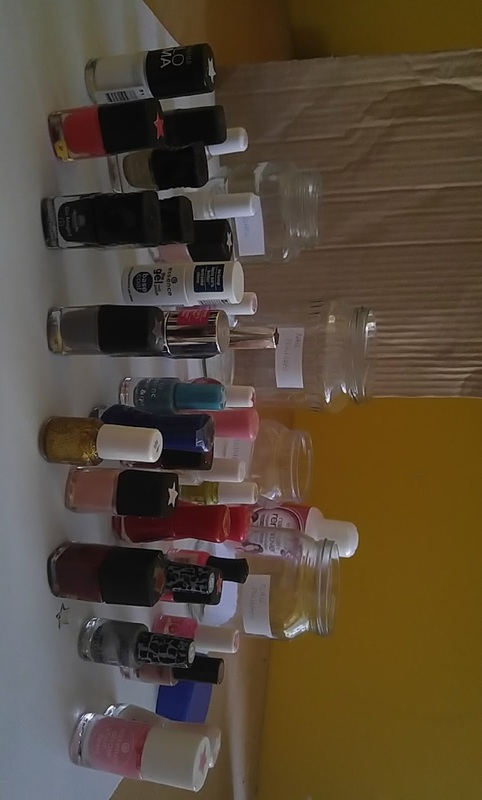 I thought what to post today and I got an idea to present you my collection of nail polishes. If I compare my collection with collection of other bloggers especially Tatjana's, my collection is probably the smallest one. But anyways I decided to present it to you. I'm going to present you it by the name of brands. All those polishes I recieved as a gift 2 times in the makeup box, but the quallity of them really surprised me. 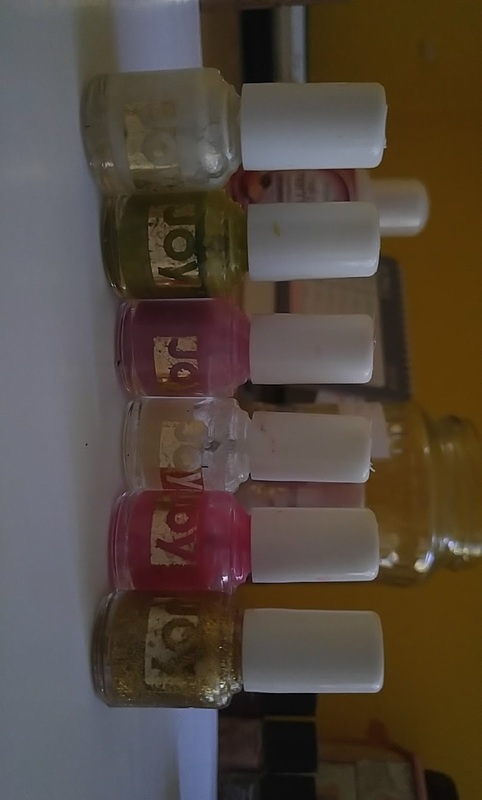 This polishes were my first nail polishes I ever got. 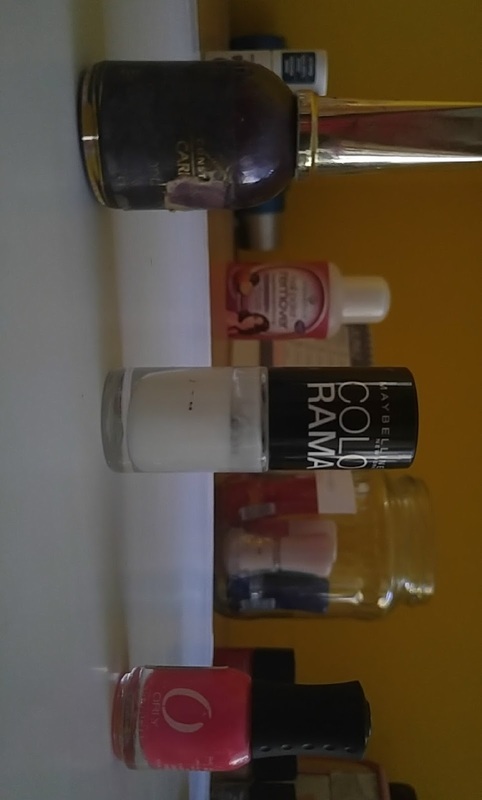 The quallity of them is actually not so good as the for exmple essence nail polishes. Yes I have already heard for Deborah but I haven't even imagined that the quallity of the nail polishes is so good. You really must try it. This set of nail polishes is amazing, the quallity is the best I could I ever try and this cracking efect is really cool. You can read more here. 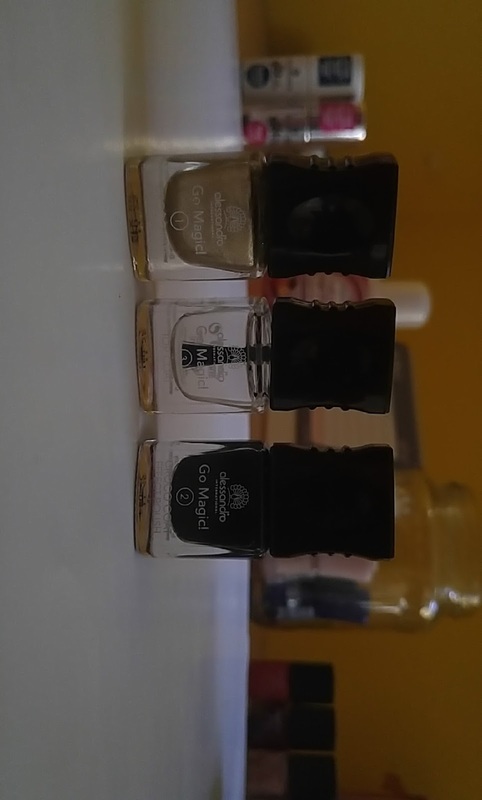 Then I also have Maybelline Colorama polish in white shade, Orly polish in pink shade and also Constance polish in dark violet shade. 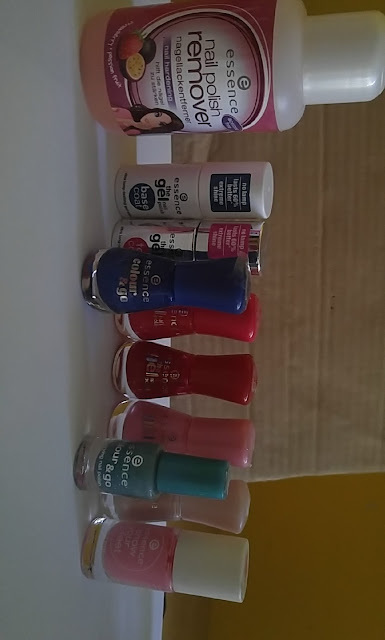 The Maybelline is not so good quallity as I expected but is defenitly for those who love to have a polish on nails all time but not very colourful one. 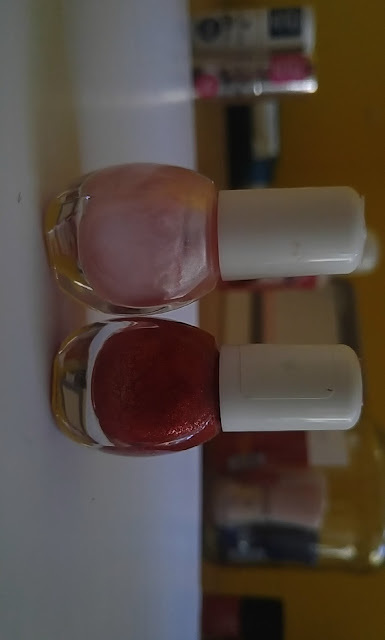 Then Orly polish is actualy of good quallity but is too pinky for me so I don't use it so much as others. And then here is also Constnce polish in really dark violet, which I use for decorating. 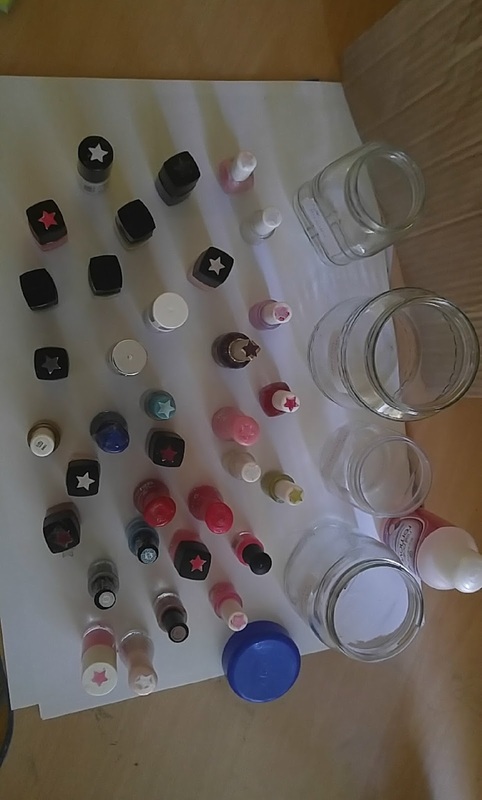 This is how my collection of nail polishes looks like and hope I inspired you for try some of them.